Two years on, a constitutional solution to the minority issue, one of the electoral promises of the yahapalana government is far from being a reality. The ongoing constitution making process in the parliament has made some progress with regard to the degree of devolution – a sticky issue in the past, while the process has slowed down due to issues not related to devolution. One such major issue seems to be the abolition of the executive presidency. Since Chandrika Kumaratunga government of 1994, all presidents came to power promising to abolish the executive presidency. But subsequently all of them either abandoned or postponed the issue depending on other political priorities, personal agendas or hunger for power. 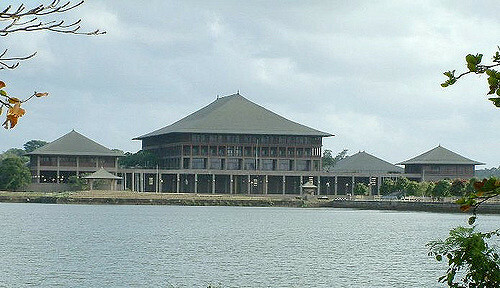 However, the difference this time over, is that the Yahapalana government of Maithripala Sirisena and Ranil Wickremesinghe was voted into power on the strength of a broad coalition which included minority parties and the promise of abolishing the executive presidency was one of the key elements in their agenda. Yet, the slow pace of the constitutional process makes one wonder whether the same thing is going to happen this time as well. The constitution making process that was activated through the parliament first got delayed due to emotive issues like giving the foremost place to Buddhism and the use of the word ‘unitary’ in the constitution. However, subsequently there seem to be some progress even in these seemingly difficult areas. For example, section 9 of the current constitution gives the foremost place to Buddhism while it also gives due recognition to all other religions and guarantees freedom of thought and religious belief. There has been general agreement from all quarters including the Tamil and other minority parties to leave these provisions as they are. Then the other issue was devolving power to the periphery while retaining the unitary nature of the constitution. It has been argued by the Tamil National Alliance (TNA) that the use of the word ‘unitary’ in the English text of the constitution could lead to wrong judicial interpretations undermining the very idea of devolution of power. Therefore, they have suggested the use of the Sinhala word ‘Ekeeya’ in the English text as well, so that any future judicial interpretation will have to be made purely on the provisions and the structure of the constitution and not on the basis of one word. If agreed, these suggestions may overcome some of the unwanted disputes thereby giving more priority to other important aspects such as the abolition of the executive presidency, introduction of a second chamber and the structure of the government in a way that will lead to a permanent solution of the long standing ethnic issue. Where devolving power to the periphery is concerned now with the provincial councils already in operation what is needed is to finalise matters with regard to some of the controversial areas like the concurrent list and what sort of police and land powers are to be devolved. Strange enough already there seem to be some agreement on these issues. Despite the broad principles agreed upon by the political parties that joined together to defeat the previous government and form the yahapalana government, there seem to be no agreement between the SLFP and the UNP over the issue of abolishing the executive presidency. The idea is strongly backed by the JVP and several other small political parties including the Communist Party of Sri Lanka except the Joint Opposition which is likely to oppose any major change in the constitution. Although there has not been any official stance yet from the SLFP, individually some of the SLFP members of the cabinet have made statements opposing any major constitutional change that will require a referendum. Their argument is that it will not be easy to win such a referendum. But, there are also serious doubts as to whether such stance is just a lame excuse to continue with the executive presidency. Meanwhile, fairly early in the constitutional process the TNA leader R Sampanthan had made it clear that for any constitutional change resolving the ethnic issue to be successful, it should have the approval of the people at a referendum. Prime Minister Ranil Wickremesinghe also has endorsed this idea saying that the leader of the TNA accepted that the support of the majority community was essential to enact a new constitution. Across the board there had been general agreement among parties represented in parliament that a referendum was necessary. The provision for referenda which was introduced for the first time in our country by the 1978 Constitution was believed to be an enhancement on democracy that existed up to that time. In a representative democracy elected members legislate on behalf of the people. But, when it comes to a matter of utmost national importance a referendum enables the people to get involved directly and approve or disapprove it. 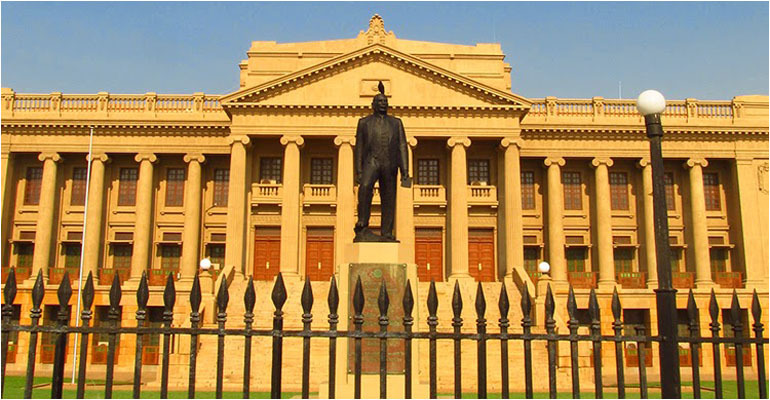 However, ironically this provision was used by its architect President J R Jayewardene in 1982 to extend the life of the parliament by another term without holding a general election because he wanted to preserve the two thirds majority he enjoyed at the time. An idea for a referendum never came up thereafter. Thirty five years later it has surfaced again and the difference this time is that if a referendum is to be held, for the first time it is going to be for its original intended purpose – to decide a matter of great importance to the country. There cannot be anything more important than a Constitution, more so when it is intended to resolve some long standing national issues. This is going to be independent Sri Lanka’s third Constitution and now it is time for the country to agree on a permanent document. Sufficient public discussion and extensive involvement of all political parties in Parliament are a sine qua non, if we are to come up with the right document. A referendum will be the best way to ensure such debate and discussion while any piece of legislation directly approved by the people in that manner will have the legitimacy that is needed to give some sense of permanency for such a document in the minds of the people.